Mid-summer. Sweat. Heat. Sunburn. Storms. Ridiculous skateboarding. Ruined knees. 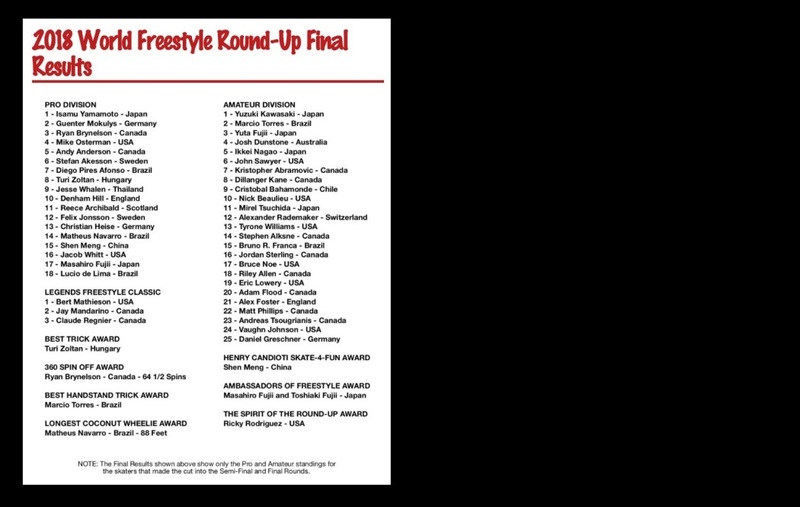 It’s the same every year, no matter where you are and what particular niche of skateboarding you’re interested in, but freestyle just seems to be going from strength to strength. There was some discussion in the British scene about the fear of stagnation, and while there’s definitely some concern about the lack of a coherent plan for growth amongst the Freestyle Community, we seem to be shambling along just fine for now. 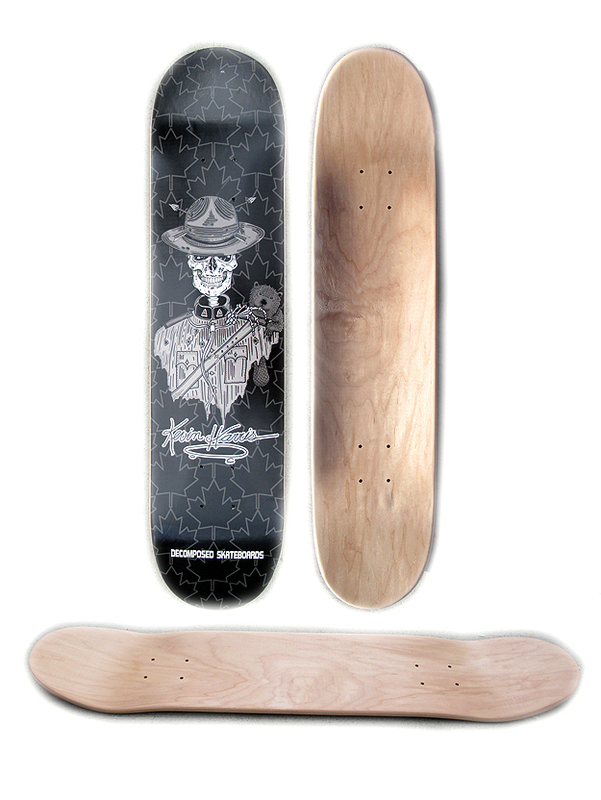 Lots of new products, skaters, websites and tricks means lots of news, so let’s get stuck in. A new report means new Decomposed product. That’s just the way it is. 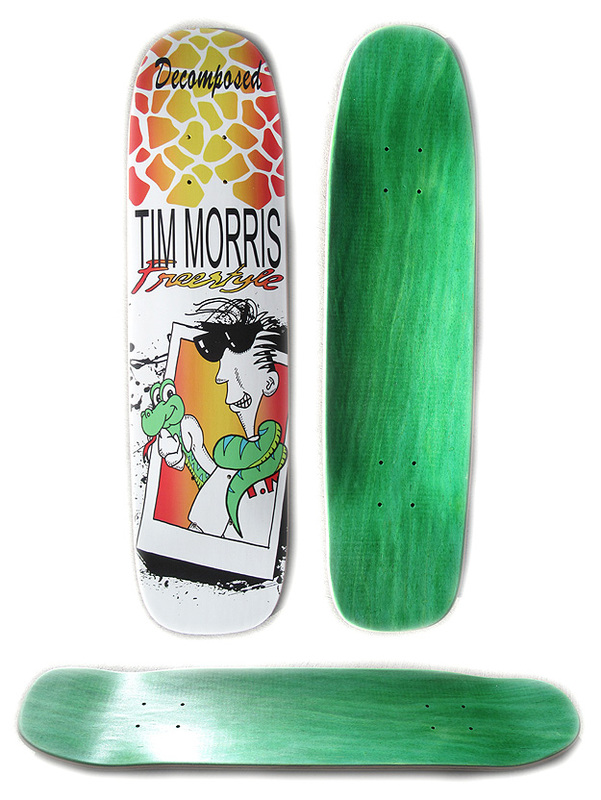 This time around we’ve got new double kicks – a 7.5″ by 29.25″ Tim Morris and a 7.25″ x 32″ popsicle Kevin Harris, both double kick and riffing off classic 1980s graphics. If I was buying I’d say a Morris for under the feet and the Harris for the wall, but if you’re tall and fond of ollies, you might prefer it the other way round. Pick them up from Decomposed’s website – and tell Witter to buy some bloody advertising on Everything Skateboarding while you’re there. There’s a new wheel in town, folks… and it’s BLACK. 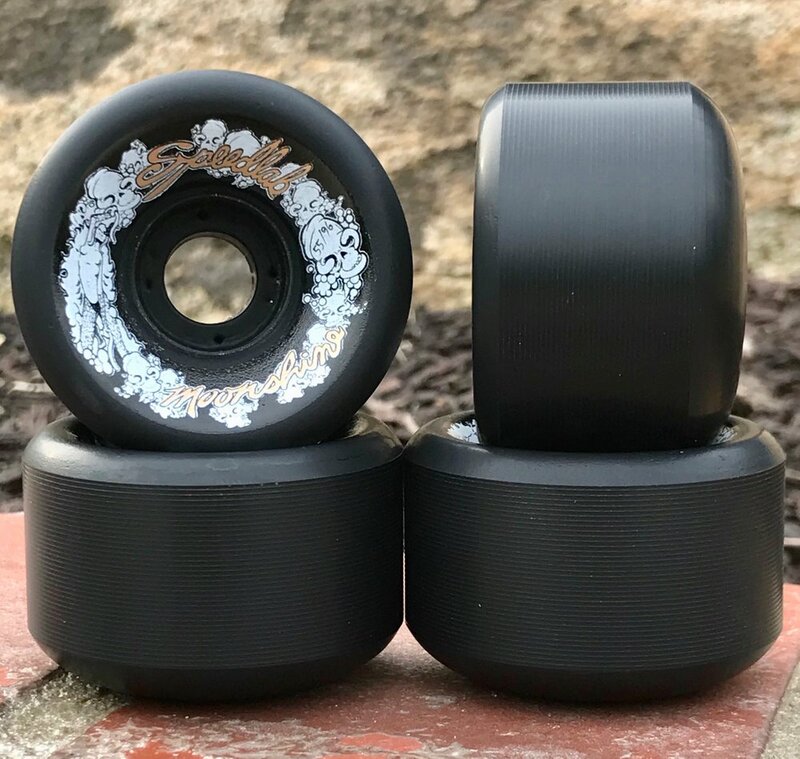 Moonshine decided to fill that niche left over by the end of the black Momentum wheels and bought out an insanely well-priced collaboration with Speedlab. I’ve yet to try them out, but I hear really good things about the Speedlab urethane, so I’m pretty excited about these. And at a mere $33, these should be well worth picking up – even if they are based on the OJII shape, which I’m personally not a fan of. Still, the OJs are a classic wheel for a reason, so I imagine these should be insanely popular. Head over to the Moonshine website to get yourself a set. If 80s style OJ-based wheels aren’t your thing, Seismic’s been the only real game in town for a while. Well, Gesmer finally bowed down to relentless pressure (by which I mean a torrent of messages from me) and bought out a new version of the Seismic Focus. Using the same improved core and closed-back shape as the widely-used 97a and occasionally-used 101a Focus wheels, this one is a nice and grippy 95a in a lovely orange-on-white design. 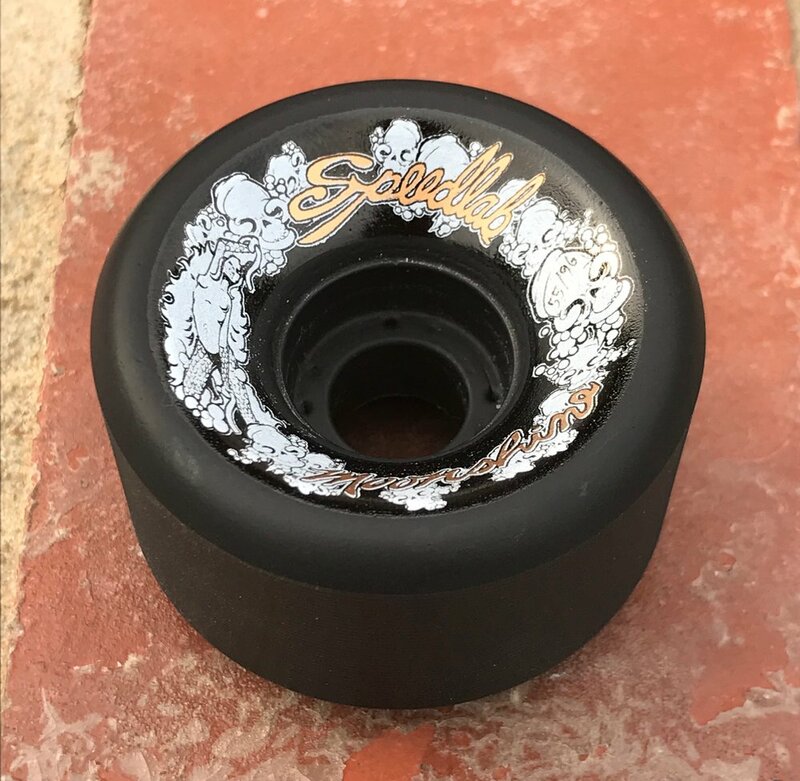 Due to the solid core and high-grade urethane, these ones should run much faster than other grippy freestyle wheels, so I’m keen on getting my hands on a set… or five. Pick some up from the Seismic website today. 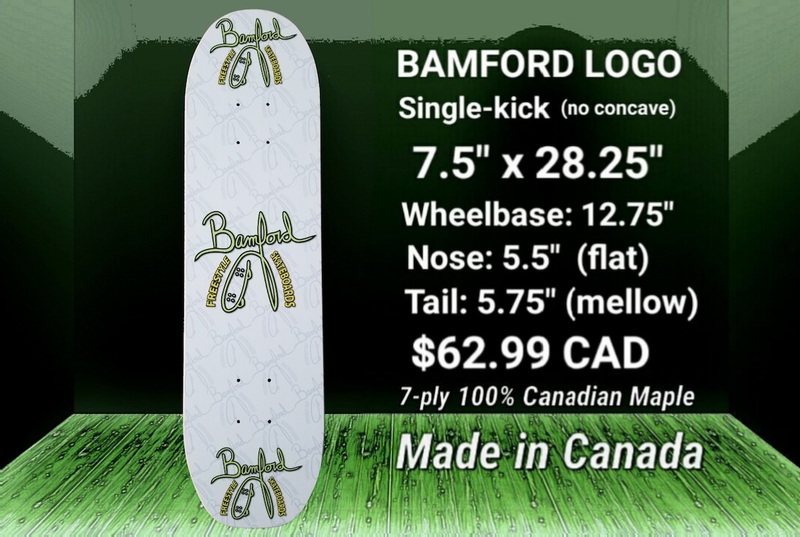 The new products just keep on coming, and the latest is from Patrick Bamford, who’s reskinned his existing shape with a new graphic. As I mentioned back in March, I really like the look of the shape, so I’m happy to see he’s doing well enough to justify a second graphic. Head over to his website and pick one up – $62.99 in Canadian Plastic Dollars actually isn’t as expensive as it sounds! I’m writing this just a few days after the annual Paderborn BBQ competition and I’m still feeling its effects. Held in a skatepark in a small German town, this is the most unlikely site for the longest running (and, in this writer’s opinion, best) freestyle event in the world. Now in its 18th year, Paderborn has been playing home to an international freestyle event since 2001; Ratzi and his crew hire a giant military-style tent and beds for foreign skaters to camp in, and while the street event takes up all of Saturday, Sunday is entirely devoted to freestyle. It’s pretty amazing – no other event in the world draws such a large crowd with no side shows or other reason for them to be there. They just know some amazing skateboarding is going to happen and turn up for the show, year on year. This year’s event was, like most years, insanely hot. Everyone was chugging down water constantly (I think Ratzi must have ram-raided the local Aldi to source that much free bottled water), and it still felt like I’d been swallowing sawdust. Regardless, skateboarding had to happen, and it was of an incredibly high caliber. Nick Beaulieu made the journey across the Atlantic for the first time, only to come head-to-head with a hoard of world-class Romanian amateur talent and a returning Jari Paakari (who has come on leaps and bounds since he re-emerged from his Finnish hiding place for last year’s Stockholm event). Eventually, despite mauling his toe on Saturday morning (and some late night, whisky-fuelled bathroom surgery to fix it), Nick took the gold home, with Alexandru Lilea and Christian Müller bringing very different 80s-themed runs to grab second and third place respectively. It’s a bit hard for me to write about the pro division as I was involved in it (and spent the bulk of it either warming up or collapsed from heat exhaustion), but the most notable which I actually got to see was Marius Constantin finally stepping up from his Am-division winning runs and bringing a true pro-level performance to the table, bagging his highest result to date (a very, very respectable fourth place). I’m not sure which was better to watch: his run or the huge Romanian party when they found out he landed in fourth. If he keeps this up he’ll be a serious contender again next summer. I only really witnessed one performance from the pro podium (my own), so I can’t comment too much; what I will say is that my first run sucked hard (I’m blaming the heat), I stuck a whole selection of new tricks I’ve never done in a contest before in the second and rolled away mostly clean, and Felix Jonsson was on perfect form, spinning higher numbers with more style than ever throughout the weekend (sadly, his runs were just before mine, so I missed his routine both times). However, the winner had to be Guenter Mokulys; the man is an absolute robot and seems to be back on his old form after what was a relatively disastrous year for him in 2017. The “masters” was a bit of an odd one; returning from last year was the reigning champion Yoyo Schulz and Eli Myers, but the small division was rounded out by newcomer “Micky Bluebird”, aka Michaela Tritthart, aka The Woman With The Bendiest Legs In Skateboarding. Micky was pretty nervous in her first competition, but the crowd – and fellow skaters – were appreciative of her unique brand of footwork, and I think it bodes well for her future in freestyle. However, Yoyo’s bad back took out the bulk of his repertoire, allowing a much-improved Eli to stomp home to a well-deserved first place and the Masters title. That’s more writing than I expected to put here, but it still feels like it’s only scraping the surface of a killer weekend. Paderborn is immense, people; make the trip. It’s worth it. Before I move on from Paderborn, I took the opportunity to record part of the in-car nonsense along the way with absolute Hero of Freestyle Alex Foster for the Freestyle Podcast. If an hour and a half of talking about Belgium, the contest circuit and the need for more organisation in freestyle is your thing, grab a coffee (or three) and have a listen to it over at the Freestyle Podcast’s site or on your podcast app of choice. The World Round Up happened. I didn’t go this year (I opted to spend that time period skating around south Romania with Marius Constantin and his crew, a trip which will be reported on in full on this website when I find the time to write it), so I can’t really say too much about it other than what I saw on the live feed and what I’ve heard from others, which is a mixed bag. Generally, I hear the floor was notably grippier than it has been in previous years, and the crowd was oddly lower than it has been for a long time – something which I’ve been told could be down to the rest of the “fairground” outside the curling rink being much further away than it has been before, limiting the amount of passing traffic and curious passers-by. Thankfully, one of the World Round Up’s staff, Hippie Mike, has already covered the World Round Up in full for us so I don’t have to sit here and speculate about something I didn’t attend. The full article is over here. Yes, here. This link. CLICK IT. 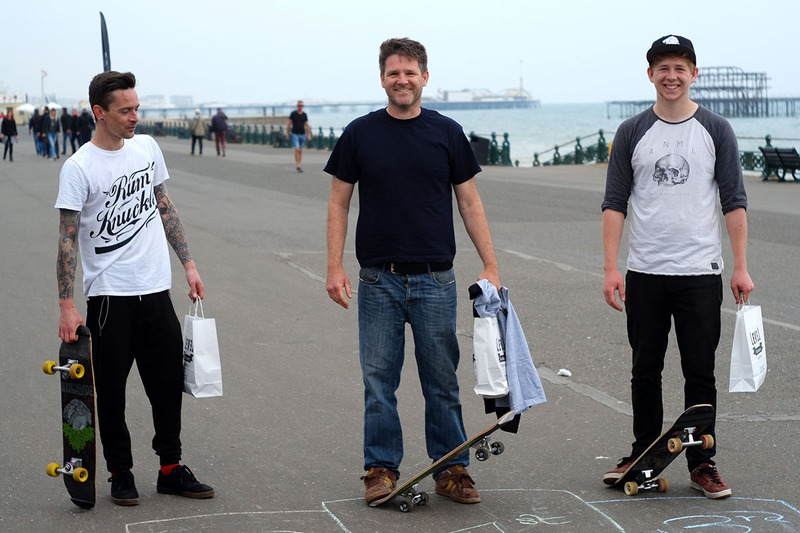 Small event report: the 9th of June saw the third annual Battle of the Boards in Brighton, England. Held on the sea front on possibly the worst surface possible (it melts in the sun. I wish I was making that up, but I’m not), it started life as a longboard dance competition with a couple of smaller competitions to spice things up (longest wheelie, best g-turn, best trick and a classic high jump), but this year extended out to include a tight slalom race, an electric board race – and a freestyle competition. With each skater getting a single one minute run and no choice of music, this was hardly the most professional event going, but still, fun was had; seven freestylers entered, most of whom had never entered a competition before, and at least half of which had no idea the competition was going to happen until I cajoled them into it ten minutes before it started. In the end, the top spot went to professional heckler (and my former Capital teammate) Byron Lawrence, with Mark Goddard wheelie-ing his way to the second spot and Byron’s son Cameron Lawrence stepping up for third place. Really, the “competition” wasn’t the point of the whole event; the fact of the matter is that when you get a group of like minded people together in a public space, get some music blaring and put on an event, you’re going to have a good time – and an audience. Moreover, the gathered crowd of passers-by seemed to enjoy the show, with the high jump being an especially big draw. Sometimes, keeping it simple really is the best way. Some good news just in from NYC: Uncle Funkys skateshop in Greenwich Village is not only stocking but SELLING freestyle product. No doubt it’s Pete Betti’s doing, as he’s been working there for a while; he tells me they had a few requests for a freestyle-specific setup, and as such, they’ve sold a few complete Decomposed boards and some Moonshine decks. Anyway, if you’re in town, swing by 128 Charles Street in Greenwich Village and give Betti a big pat on the back. Elsewhere in the dark depths of the internet, I’ve started a whole website devoted to teaching people the act of freestyle. If you’ve been reading these for a while and don’t really know where to get started with all this board-flipping weirdness, head over to FreestyleTricktips.com and give some real tricks a go. I’m starting small with the absolute basics and building up a library so that no matter where you’re at in your exploration of freestyle, you’ll be able to get up to speed. There’s a little introduction video below; all the video version of the tricktips are on that Youtube channel, so you can follow the project on there if social media is more your thing. Looks like I’m not the only Brit getting to work. Denham Hill has begun a project entitled TERROR-FIRMA with the intention of promoting freestyle worldwide. He’s been producing classic tattoo-inspired artwork for a while, and now that’s going to go onto clothing, with profit from said clothing being funnelled straight back into supporting international freestyle. Absolute hero. Give him a follow on Instagram over at @terr_frma and tag your posts with the #terrorfirma hashtag. Sad event news now: The promise of a World Championship in Japan has fallen through. Toshiaki Fujii tells me they were having issues with one of the major sponsors, and there were all sorts of conflicts and problems. Hopefully they can get it all sorted and get something in place for next year. At any rate, with Stockholm and the World Championships not happening this year, we’re now left with two more significant dates on the calendar at this point: the US Championships take place in their usual home of Philadelphia on the 15th of September, and the All Japan Pro should be happening later in the the year, although I’m still waiting on a confirmed date on that one. Toshiaki? Moichi? Anyone? Something else for your calendars: Vice’s new show, Post Radical, did some filming at last year’s World Round Up. Presented by Rick McCrank, the series seems to be about the hidden niches in skateboarding; the episode about freestyle should go up on Vice’s website on July 31. I couldn’t figure out how to embed things from their proprietary video player so head to their website to watch the first episode now. Right, let’s have a palate-cleanser to end this giant update. And what better freestyle sorbet is there than Reece Archibald’s patented brand of footplants and nonsense? Grab yourself a Dib-dab or ten, kick back and let it wash over you. Then, of course, go skate! Tony Gale is a British professional freestyle skateboarder and rides for Moonshine Skateboards, Jimmy’z, Seismic and Synopsis Bearings. This month he’s been throwing himself into the concrete skating banks and throwing 720 shuvits in a desperate attempt to catch up with some of his Japanese teammates; if he makes it through to August in one piece, it’ll be a miracle.